Confidentiality clause is a very important clause particularly in technology, license, and reseller agreements as well as in employment contracts. However, during the contract review stage, this clause is usually being neglected by one or both contracting parties but only to find out that this clause will cause a serious problem while the contract is being enforced. If the confidentiality clause is not thorough and broad enough, the disclosure of confidential which, most of the time is a proprietary information is highly probable. The worst thing is that the owner of confidential information may have no resort against the disclosing party due to very limited coverage of the confidentiality clause in the contract. 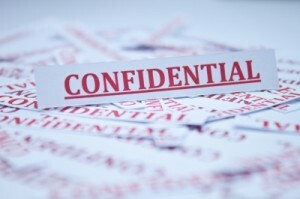 To ensure that the confidential information will largely cover all necessary information that need to be protected, the definition of confidential information should be thorough such as the following: Confidential Information means any information, data, or materials (whether or not recorded) of a proprietary or confidential nature, whether in oral, written, graphic, machine – readable form, or in any form (“Confidential Materials”) relating to parties and their affiliates , their past, present and future products or services, including but not limited to: any Confidential Materials which a party or its affiliates treats or marks as confidential or in respect of which it owes an obligation of confidentiality to any third person; any trade secrets, secret formulae, processes, techniques, intellectual property, documentation, files, graphics, surveys, plans, drawings, presentations, reports, charts, lists, and tables, conversations or expressions, samples, models or prototypes, or parts thereof when appropriate; information or data of a business, company, clients, including but not limited to corporate, financial , technical, scientific, legal, operational, proprietary, developmental, marketing, sales, price, operating, performance, cost, know-how, and/or process information; information about the business owners, directors, officers, key personnel, employees, consultants, agents and representatives, computer programming techniques, and all record bearing media containing or disclosing such information and techniques; any or all which is disclosed whether in writing, orally or by any other means by one party (Disclosing Party) or by a third party acting on behalf of the Disclosing Party, to the other party (Recipient) whether before or after the agreement. It is very important for confidentiality clause to have provisions on injunction and specific performance to protect the owner of confidential information. Ordinarily, the recital of this provision is as follows: In case of breach of confidentiality, the defaulting party acknowledges and agrees that money damages may not be a sufficient remedy for any breach of confidentiality and innocent party may seek equitable relief, including but not limited to an injunction or specific performance as a remedy for any such breach. Such remedies shall not be deemed to be exclusive remedies for breach of this provision but shall be in addition to all rights, remedies or relief otherwise provided in the agreement, or provided by law or equity. If the foregoing provisions will be incorporated in the confidentiality clause of the contract, the parties will be assured that their respective confidential information is fully protected from any unauthorized disclosure.